Bike sharing schemes are now a familiar feature of the urban landscape. From Montreal to Marrakesh, London to Lublin, more than 1000 cities around the world are learning that bike sharing can play a supporting role in reducing congestion, cutting air pollution, improving citizens’ health and boosting their reputations as great places to live, work and invest in. But not all bike sharing schemes are progressing at an equal pace. While some, such as those in Paris and London are moving into the fast lane, others are struggling to stay upright. In today’s blog, we look at how two different cities – Seattle and Dublin – are tackling bumps in the road to better bike sharing. In recent years, bike-sharing schemes have been springing up in cities all over the United States. Among the success stories is Washington, DC’s Capital Bikeshare programme, which is rapidly becoming an integral part of the city’s transportation system. On the other side of the country, however, Seattle’s Pronto bike share scheme had a difficult birth. In its first year, people took 142,832 rides on Pronto bikes (the comparable figure for Capital Bikeshare was one million rides). A year after its 2014 launch, Pronto became insolvent, and Seattle’s city council bailed out the scheme at a cost of $1.4 million. Last year, the council announced that Pronto would cease operations in March 2017. The factors behind the failure of Pronto have been the subject of considerable debate. 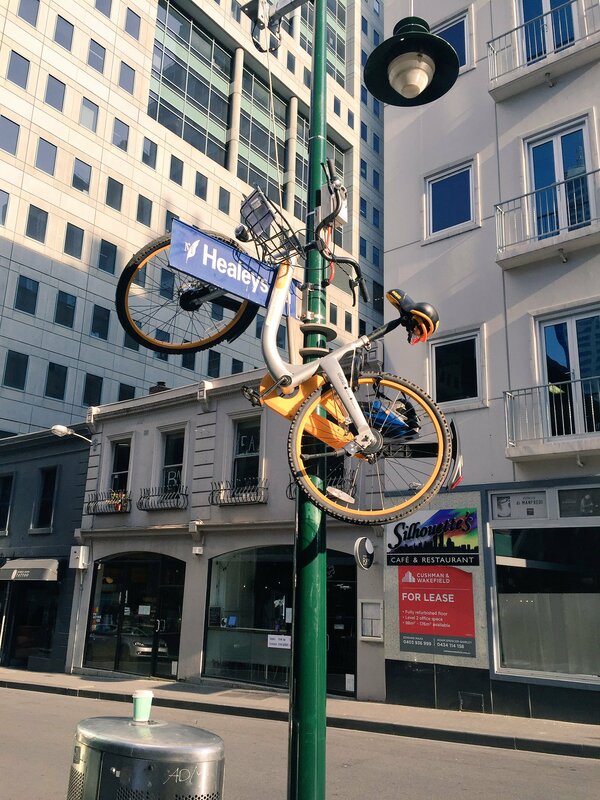 Some have blamed it on compulsory helmet laws in the city, pointing out that similar rules in Melbourne also resulted in poor take-up of its bike share scheme. Others have put forward a range of theories, from poor cycling infrastructure and inadequate marketing to Seattle’s rainy climate and hilly topography. The city’s bicycle club also weighed in, arguing that the scheme’s small size, insufficient density of bike stations and prohibitive pricing structure put the brakes on what should have been a success story. Bike sharing in Seattle may be down, but it’s not out. The city council is preparing to launch a successor to Pronto that will provide electric bikes and double the number of stations. There are still concerns that the mandatory cycle helmet rule may discourage take-up, although helmets will also be available for hire. The council hopes the new scheme will be launched in summer 2017. It remains to be seen whether motorized cycles can kick start Seattle’s bike sharing journey. In contrast to Seattle, Dublin’s experience of bike sharing started off with positive results. Within seven years of its 2008 launch, the Dublinbikes scheme had 55,000 long-term subscribers and had recorded over 10 million trips. An expansion in 2013 took bike sharing stations beyond the core of the city and delivered an extra 950 bikes. The popularity of Dublinbikes has continued to grow, but would-be users have often been frustrated by the lack of available bikes and delays in further expansions. Funding difficulties lie at the heart of the problem. Dublin City Council contracted the outdoor advertising company JCDecaux to operate the Dublinbikes scheme. In exchange, the company was given the right to advertising space at a number of locations around the city. 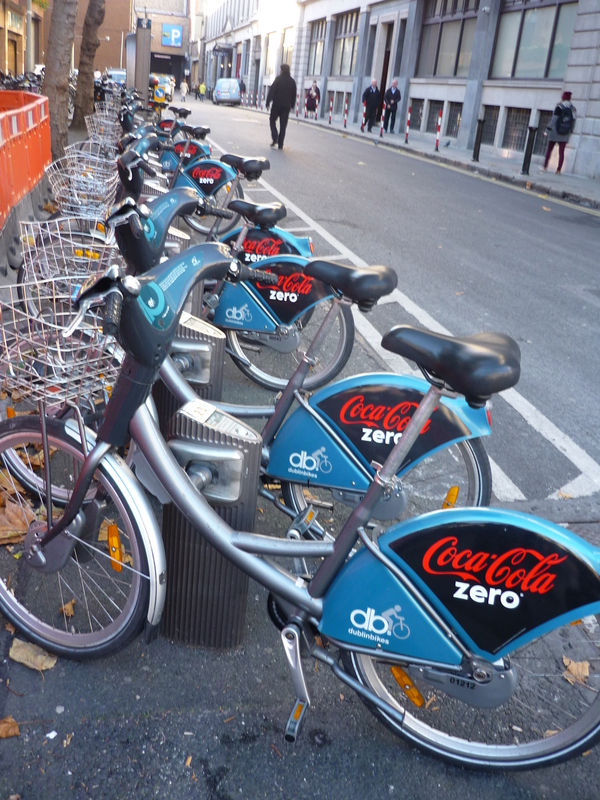 Dublinbikes also secured sponsorship from Coca-Cola, and managed to stay in the black for its first six years. However, the scheme has been running a deficit since 2015. Under its contract with JCDecaux, Dublin City Council must fill the €388,000 shortfall, but the council is itself under financial pressure. Expansion of the scheme would cost €1.2m, with a further €500,000 a year of running costs for the additional bike stations. To fulfil its side of the Dublinbikes deal with JCDecaux, Dublin City Council proposed the placement of advertising screens in the southeast of the city. However, these plans were thrown into question in August 2016 when Ireland’s national heritage organization lodged objections. One heritage officer described the proposed screens as “nasty” “contemptible”, “tacky” and “grossly offensive”. City councillors subsequently voted against installation of the screens, leading to concerns that the costs would have to be shouldered by bike users. In November 2016, the annual Dublinbikes fee rose by €5 to €25. That’s still lower than annual membership of London’s more extensive Santander bike share scheme (£90), but there are now concerns that the price increase will exclude people on low incomes or unemployed people, who may have found the bike share scheme more affordable than getting around by car or public transport. Seattle and Dublin have experienced different problems in establishing their urban bike sharing schemes. But it’s worth remembering that Washington, DC’s early bike share scheme suffered very low use rates, while Montreal’s first attempt at bike sharing went bankrupt. Today, DC’s Capital Bikeshare is among the most admired in the world, and is contributing to cuts in congestion. Meanwhile, Bixi, which now operates Montreal’s bike share scheme, is exporting its expertise to other parts of North America. Clearly, successful bike sharing schemes require careful planning, public participation, adequate funding and – perhaps most important of all – time to grow.